Why is your cat eating grass and how can it affect her? Learn the causes, effects and alternatives to this behaviour and what to keep in mind when your cat is playing outside! When sharing your home with a cat you’ll inevitably discover the occasional odd behaviours they exhibit. Some may be entertaining, like when they get “the zoomies” and dash through your home like a race car. Others might worry you, like your cat eating grass. Here’s why and what to do about it. Have you ever seen your kitty munch on grass only to vomit it up again shortly after? This behaviour is not limited to cats that get to roam free outside. Indoor plants may also fall prey to your pet’s craving for greens. It is not entirely clear yet what motivates cats to engage in this behaviour. But there are a few agreed upon explanations. Grass can’t be digested by a cat’s stomach as it is missing the necessary enzymes to break it down – as a result, cats regurgitate it. By vomiting out the grass, hairballs or inedible parts of prey, such as fur or bones, are expelled as well. Since the grass itself induces vomiting, your pet is spared miserably gagging on the occasional hairball. On the other hand, it acts as a laxative, aiding the digestive system in the process by clearing it out. So don’t stress about them having diarrhea. Also, try to not scold them if they accidentally soil your favourite carpet. Good to know: Grass contains folic acid that helps in the production of hemoglobin. This is the protein responsible for transporting oxygen through your blood. If your cat is eating grass every day or vomiting blood, there is definitely cause for concern. Important: Munching on grass every day might indicate problems in your pet’s digestive system. The more trouble they have digesting their food, the more they will crave grass in an attempt to clear it out. On the other side, your feline might, eventually, stop eating altogether. Note: When they are also vomiting blood, it is possible that they’ve ingested toxins, for example in the form of pesticides or other chemicals found outside. Should this be the case with your kitty, don’t hesitate and take her to the vet immediately! make sure not to use any insecticides or herbicides. She might accidentally ingest them. check for any toxic plants that you might grow there (see below). Cat grass: If the whole neighbourhood is fair roaming territory for your pet, it gets trickier; don’t let them eat anything and everything! 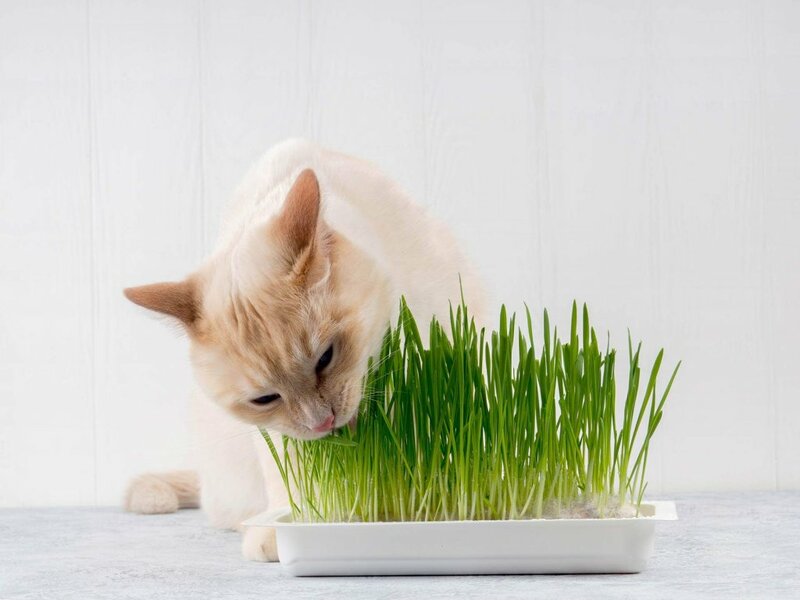 A better option to them ingesting potentially harmful substances when they’re out and about, is providing cat grass at home which you know it’s safe to eat. Toxic plants: If you keep your cat indoors, make sure you provide them with cat grass as well and remove all toxic plants that they might nibble on instead. Ingesting toxic plants can induce anything from stomach bleeding to liver failure and death. The list goes on, so make sure all your plants are non-toxic to cats before bringing your pet home. Is there an alternative to satisfy my cat’s appetite for grass? So, even though your cat eating grass and vomiting might make you worry about the poor thing, you can usually rest assured your kitty is just aiding her own health. However, being on the safe side is always the best way to go, so check out some other alternatives. A better option is to check your local pet store for cat grass, which is definitely safer and can satisfy your feline’s appetite for grass. Like what you’ve read? Share it with your cat friends! 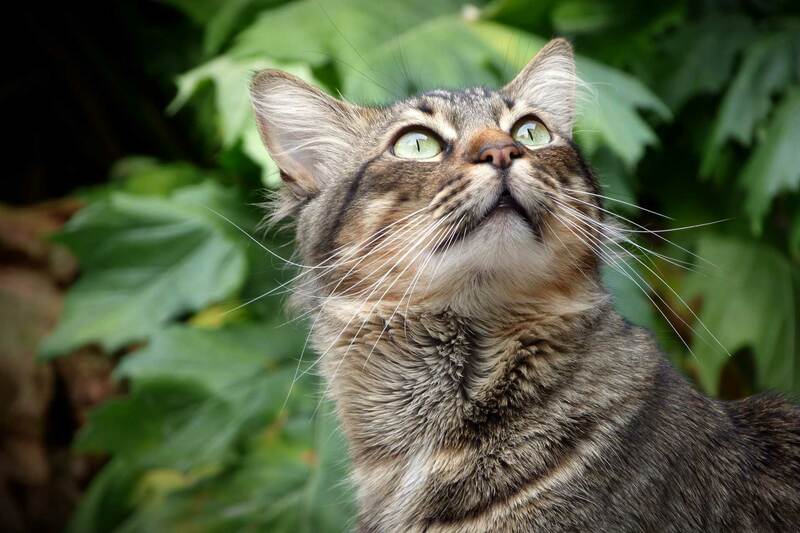 Lost cat: What if your beloved pet runs away? These tips will help you find your missing cat in no time! Moving with your cat made simple with these 8 tips! Learn how to help your cat when she is suffering from a pollen allergy! Find out where your cat spends her time. Cats and birds living together safely? It’s possible with these tips! Chocolate Easter eggs – a great danger for dogs! Should You Use Food & Treats as Dog Training Methods?